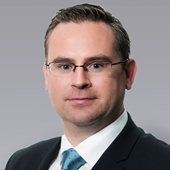 I have in excess of ten years extensive and diverse experience primarily in the areas of commercial and residential valuation, commercial agency and asset management in Ireland and the UK. I spent a number of years working in Liverpool, Merseyside primaily undertaking secured lending valuations for Banks including Barclays, HSBC, Nat West, Santander and Lloyds. I am engaged primarily in the provision of commercial and residential property valuations for a wide range of purposes including secured lending, company accounts, legal disputes, brokerage advice, taxation and property fund portfolio valuations. I have been involved in the acquisition and asset management of properties in areas as diverse as the Channel Islands, Grand Bahama and Washington State. I have worked on a number of large UK heritage redevelopment projects including Royal Haslar, Portsmouth and Tobacco Warehouse, Liverpool. Head of Advisory Services in Ireland (Dublin) office. I have over 12 years experience in the Advisory Services and Commercial Agency areas of Commercial Property in Ireland. In the past two years I was involved in the client side of Asset Management with a large NGO who operated in the delivery of educational, enterprise employment opportunities and care services for people with varying degrees of disability. Prior to that I was involved in private practise and involved in some significant portfolio valuations, disposals, rent reviews, CPO, expert witness work for various client types. I am a Valuation Surveyor based out of Dublin and have experience in all of the main Irish market sectors, and have specialist experience in traded assets in the leisure and healthcare areas. In my career I have been involved with compulsory acquisition of lands, loan book valuations, specialist valuations for GAAP and public sector financial accounting, and landlord and tenant matters. I spend a decade working in London, before moving to Dublin, where I worked for a spell for the Chancellor of the Irish Exchequer, before moving through a number of private and public poroeprty related roles. Recently joined Colliers and undertake valuations of all types of commercial / investment properties nationwide on behalf of both institutions, and private clients. These valuations are generally undertaken as loan security exercises as well as loan portfolio valuations. I have previously worked in JLL, Capital Markets specialising in providing strategic investment advice to institutions and private investorsin respect of all aspects of commercial property investment including the marketing and disposal of properties, development advice, portfolio asset management, cash flow appraisals and property acquisitions. Through my experience of Irish investment sales and acquisitions, I have developed a working knowledge of legal and technical issues involved in investment property transactions. Prior to that I was employed by Savills and worked in both their valuation and property management departments. I am a Surveyor within Colliers International Business Space Department having spent two years in the Business Space Department intially and a year in the Valuation & Advisory Department. Previous to joining Colliers I worked as a residential property manager in both Ireland and the UK.